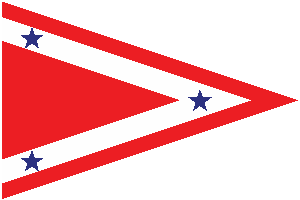 Camden Area Youth Seamanship Program (CAYSP) welcomes you to the USA Junior Olympic Regatta - Northeast Junior Championships, July 15th and 16th in Camden, ME! Please REGISTER HERE. Please GET MORE INFORMATION HERE or see our FAQ, Schedule and Coach Information pages. In 2015, 30 events are planned for waters in the continental United States and Hawaii and over 4,000 sailors are expected to compete. 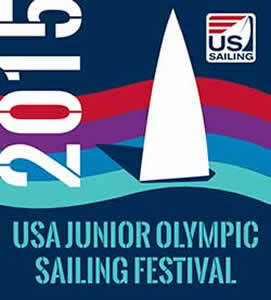 Junior Olympic Sailing is coordinated by US Sailing. We would like to thank our generous national and local sponsors. For more information about our sponsors, please visit our sponsors' page. Thanks to the Morong/Bresnahan families for the use of their dock space for our Green Fleet! Camden Yacht Club is hosting the regatta. However, due to space constraints, boats will be launched from two different venues. 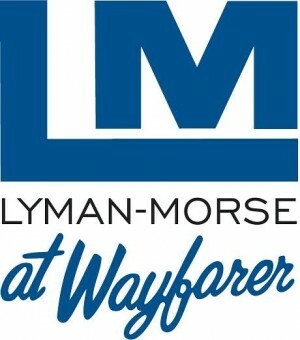 Lasers, 420s and coach boats will register and launch from the public dock at Steamboat Landing (around the corner from Lyman Morse at Wayfarer Marine). All Optimists will register and launch from the Camden Yacht Club. All awards and social events will take place at the Camden Yacht Club. The regatta will take place on July 15th and 16th. Registration is open the afternoon of July 14th. For a full schedule of events, please visit the schedule of events page. This year US Sailing has gone social as a way of way of connecting sailors from around the country. All posts to Instagram, Facebook and Twitter using #JOSailing15 will be populated in their new JO social media wall. Lunch for both days is provided for racers and will be delivered to them on the water. For all others, lunch is available for purchase at CYC. Wednesday evening Dinner can be purchased via the JO website at on-line storefront for your convenience (and we appreciate this for a dinner head count!) You will receive a wrist band upon check-in. All are welcome to the dance on Wednesday evening and the awards ceremony on Thursday evening. If you have questions, please visit our Frequently Asked Questions (FAQ) page. If you still need help, please do not hesitate to contact us. The best way is to email us at camdenjos2015@gmail.com. If you have trouble registering, please email us at camdenjos2015@gmail.com. Coaches, please review important information on the coaches information page. The sailing instructions have been updated. Please download a copy here. The USA Junior Olympic Sailing Festival - Northeast Junior Championships, hosted by the Camden Area Youth Seamanship Program (CAYSP) in conjunction with the Camden Yacht Club and Lyman-Morse at Wayfarer Marine, is pleased to announce that it is partnering with renowned marine photographer Alison Langley to provide top-quality event photography for this major youth sailing regatta. Langley, whose work has appeared in the finest yachting magazines and books across the world, will be the event's official photographer on the water outside Camden Harbor on July 15-16, capturing all the youth racing action, from one-person Optimist prams and Lasers to two-person, spinnaker-equipped, 420 racing sloops. During the event, Langley will be sharing her work on three social networks (Twitter: langleyphoto; Facebook: Alisonlangleyphotography; Instagram: langleyphoto). Regatta photos will also be available via Langley's estore: http://estore.langleyphoto.com/josailing15. Spectators wishing to share their own images on social media should use the hashtag #JOsailing2015. 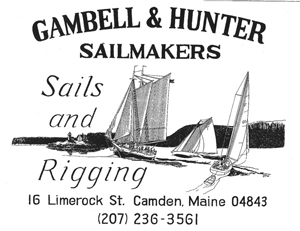 The Camden Junior Olympic Sailing Festival, to be held July 15-16 in Camden, Maine, is one of 30 championship youth sailing events held across the country each year coordinated by US Sailing and sponsored nationally by West Marine, Gill, and Sperry Top-Sider. Local sponsors of the Camden Junior Olympic Sailing Festival include the Camden Area Youth Seamanship Program (CAYSP), Camden Yacht Club (CYC), Lyman-Morse Wayfarer Marine, Alison Langley Photography, Allen Insurance and Financial, Camden Real Estate Company, Sierra Peaks Tibbetts, and Gambell and Hunter Sailmakers. 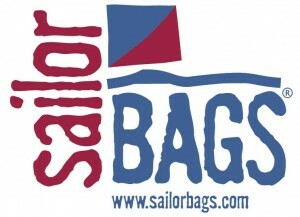 Additional sponsors include Black Bear Energy, Mauri Pro Sailing, APS-Annapolis Performance Sailing, and Sailor Bags. For more information and to register for the event, visit http://2015jos.com.